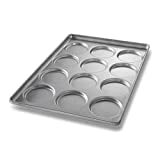 Save on Muffin & Cupcake Pans at Epfup. Top brands include Lekue, Focus Foodservice, & Chicago Metallic. Hurry! Limited time offers. Offers valid only while supplies last.